Lauren of Florida in the bella! 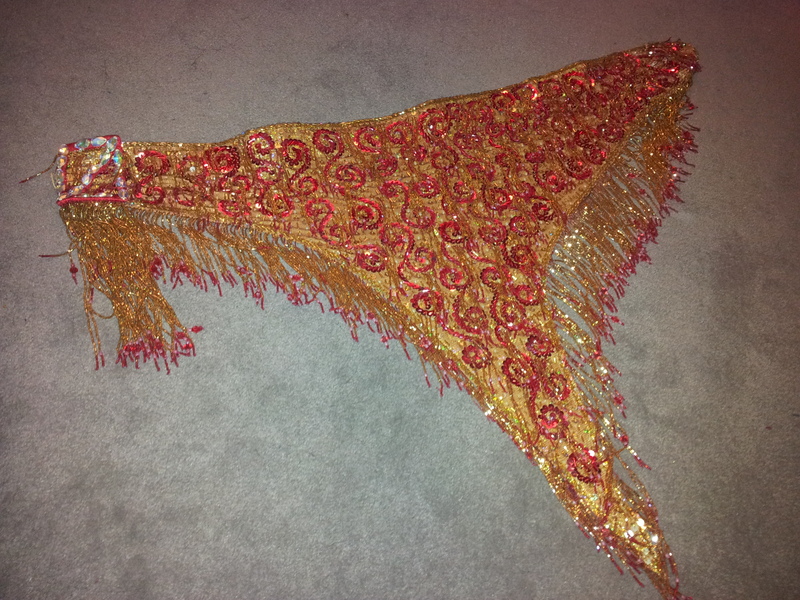 I am selling this lovely red and gold Bella that was orignally Maria’s. The belt is very heavily beaded and drapes down to the mid-calf, and the bra is completely covered with beads and sequins. 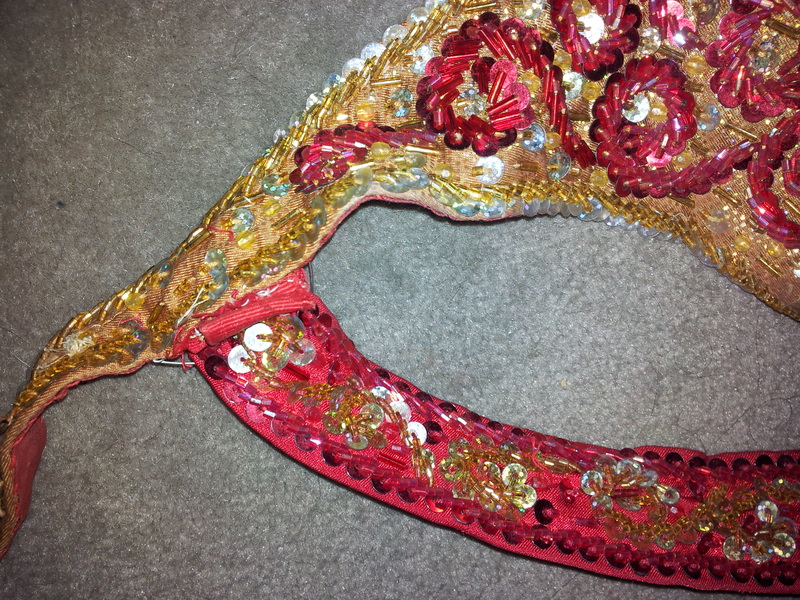 There is a swirling motif on the bra, belt, and wrist covered in beads and sequins. There are crystal encrusted 3-dimensional buckle decoration on the bra and belt. 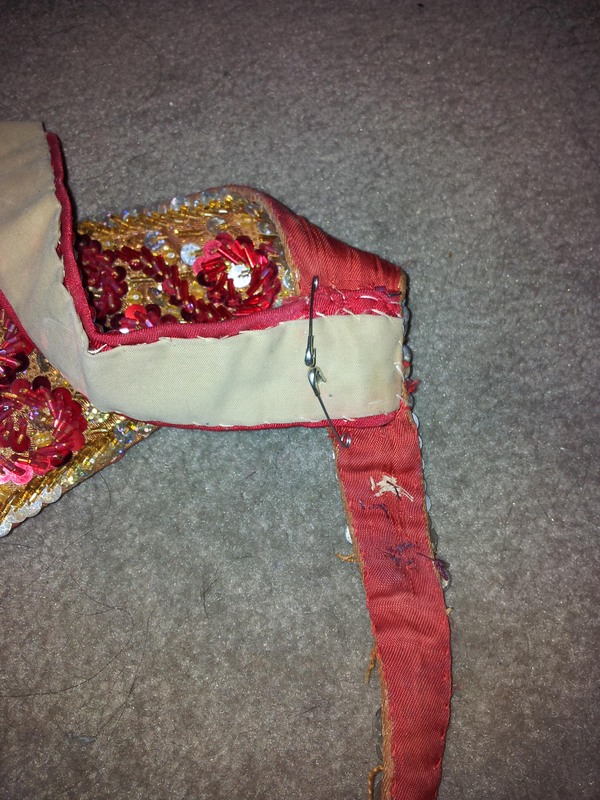 Bra has right side red fabric with gold beading, left side gold fabric with red beading. It is a really unique costume, super comfy and gets lot of compliments. Belt: one piece belt, made of stretch gold lycra. Completely covered with beading and fringes. 23″ long at the back. Will fit 30″-35″ upper hip 35” end to end. Skirt: circle double chiffon skirt; 38″ length. -the bra straps are pinned but need sewn in! $350 plus shipping and paypal fees please!